The Hotel Molnár’s two neighbouring buildings can be found in the Buda mountains (Széchenyi mountains), in one of the most beautiful, calm, greenbelt, panoramic environment of Budapest. 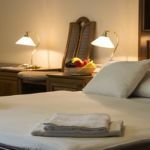 The wonderful panorama of our beautifully furnished rooms, the hospitable staff’s attention and the excellent highland air together guarantee, that all the businessmen, all the relax loving tourists and the guests who desire to get better (dental, plastic surgery and on an ophthalmology treatment participants) feel well in our hotel. 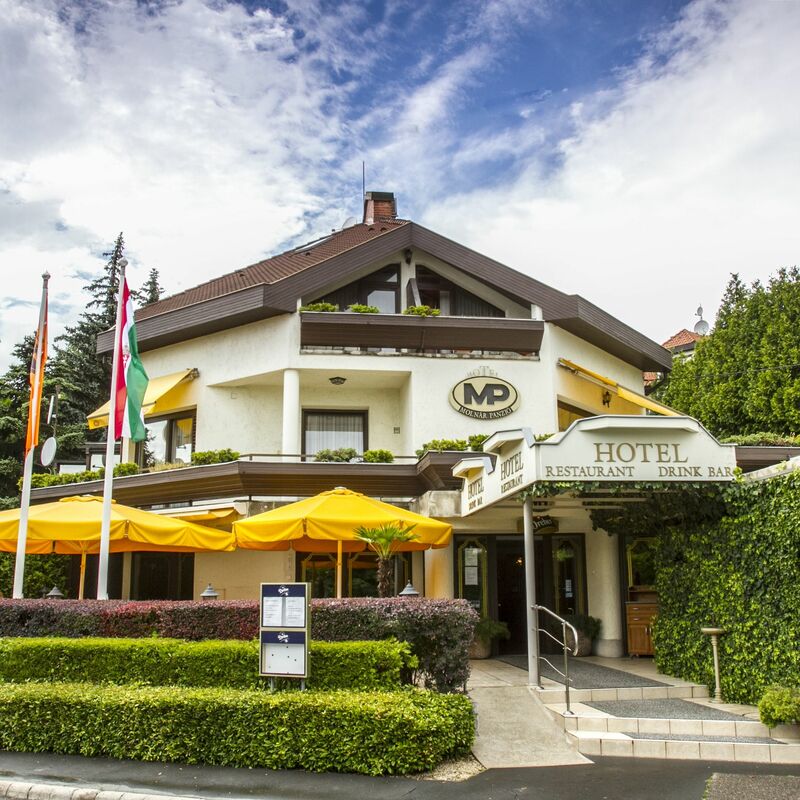 Our hotel can be found 25 km from the airport, 6km from Budapest city centre (Március 15. square), 1.5 km from Vienna and the Lake Balaton’s motorway. By public transport from downtown with the bus 8, then with the bus 53 (4 stops), from Moszkva square with the tram 59, then again witht the bus 53 (4 stops) can be reached. Travel time takes 20 minutes in both cases, the above distances are about 10 minutes by car. A private parking place assured in front of the hotel for the cars. A beautiful view overlooks Budapest or onto the Buda mountains from all rooms. 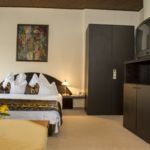 Out of the 23 rooms, 10 rooms have air-condition, all rooms have telephone, television (with satellite program opportunity), hair dryer and minibar. The whole area of the hotel complex have WIFI Internet connection possibility. 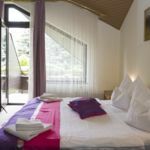 Bookings involve 10 or more persons, and 5 and more rooms considered as group bookings and different policies and terms may apply. This means the Hotel will accept and confirm the reservation only if the full accomodation price, equalient with Non refundable, discounted category, is paid. After the reservation is made the Hotel will contact guest and provide information of this. We only accept group reservations up to 20 persons. In the case we receive group reservation over 20 persons we have the right to cancel it. The pre-paid amount in case of cancellation or no-show is non refundable. 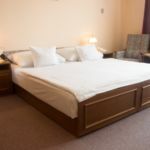 The rating of Hotel Molnár Budapest is 9.2 from the maximum 10, 97 based on actual and valid guest ratings and reviews. "Rugalmasak voltak az érkezéssel kapcsolatosan: megőrizték csomagjainkat a szoba elfoglalása előtt, így hamarabb mehettünk kirándulni. Segítséget kaptunk a budai hegyekben való tájékozódáshoz is. Tömegközlekedés szempontjából is jól megközelíthető helyen van a szállás." 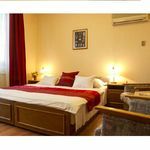 Based on the reviews and comments of actual guests, the services of the Hotel Molnár Budapest have received a high rating of 9.3/10.